According to the Texas Department of Transportation, there were 9,859 injuries and fatalities to motorcycle drivers and passengers in 2016. That’s a significant number and an increase over previous years. It’s also a sign that motorcycle drivers and passengers are less safe than ever before. While some accidents are the fault of the driver, more are caused by the drivers of other automobiles. Car Accident Lawyer, Farrah Martinez, explains what to do if the accident is not your fault. One of the most significant contributing factors in the rise of motorcycle accidents across Texas is negligence on the part of other drivers. With an estimated 500,000 registered motorcycles on Texas roadways now, it’s more important than ever for car, truck, van and 18-wheeler drivers to be observant. That’s the impetus behind the state’s 2017 DoT campaign – “Share the Road: Look Twice for Motorcycles”. Drivers of other vehicles are being urged to be vigilant concerning motorcycles. An accident involving a motorcycle is five times more likely to result in an injury than a car-to-car crash, and 29 times more likely to result in a fatality. Of course, motorcycle drivers and passengers also need to be vigilant, but in addition, you need to know what to do if you’re involved in a motorcycle accident. Knowing what to do in the minutes following an accident can make a huge difference in the ultimate outcome, and it might just save your life or the life of someone else. Follow this brief guide. Assess the Damage – The first thing you’ll need to do is to assess the damage, and that includes physical damage to you and/or a passenger on your motorcycle. What injuries have you sustained? Are you able to sit up, or stand? Move Off the Road – If possible, move your motorcycle off the road. The other driver will also need to move their vehicle out of the flow of traffic. If necessary, move any injured individuals off the road (assuming you’re physically able to do so). Don’t Talk about Fault – Whether the motorcycle accident was the fault of the other driver, or you think it was your own, don’t talk about it. Avoid discussing the accident with the other driver or their insurance company. Call Your Car Accident Lawyer – As soon as possible, call your car accident lawyer. While they might not be able to open a claim without a police case ID or accident report, you can at least get the ball rolling. Once the police have investigated the scene and provided you with a report number, your car accident lawyer can order a copy of the report online. Accident reports are usually ready within 10 days of the accident. 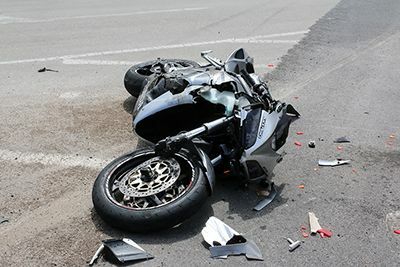 While you may not need a car accident lawyer in all instances, it’s wise to have an experienced professional on your side if you’ve been injured in a motorcycle accident. Insurance companies are in business to make money, and they don’t do that by paying out a lot of cash to those injured in accidents. An experienced Houston car accident lawyer like Farrah Martinez can help ensure that you receive the compensation you need to cover repair or replacement of your motorcycle, payment of medical bills and the like.